I like to offer my horses different toys to play with and see what they want to do with them. Letting your horse have a say in the play process will really increase your horse’s motivation and enjoyment. I had been originally teaching Bella to fetch, but then she started to pick up the ball and throw it. She really enjoyed doing that so we played around with her throwing the ball to me to catch, rather than continuing with ‘fetch’. Horses that like each other, groom each other. It is one of the ways they care for each other and maintain their relationships. 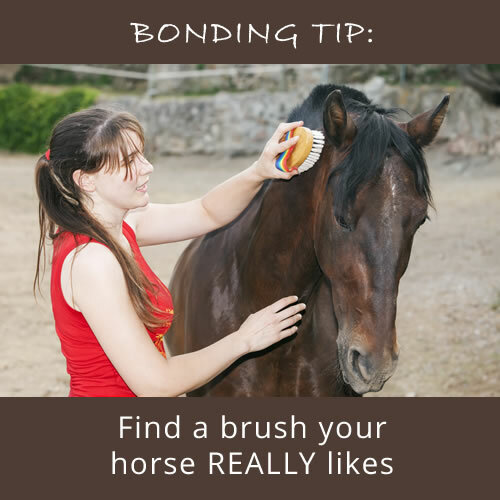 You can do something similar by finding a brush that your horse really likes and having regular grooming sessions. They only need to be short – just a few minutes every day. Is your horse bored? Or would you like to try something new to engage your horse and motivate them? Here’s some ideas that your horse should really enjoy. It seems that some horses are quite creative. 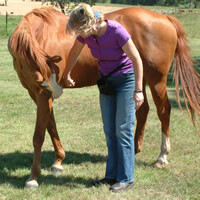 Horses can be taught to pick up a paint brush and apply paint to a canvas. The result is a beautiful, impressionistic painting. There are lots of wonderful horse toys available now. 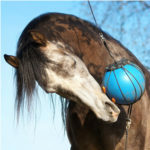 Horses love to play and providing toys can really cure boredom. Try a toy that gets them thinking or gets them active. Try training your horse without any restraints, at liberty. 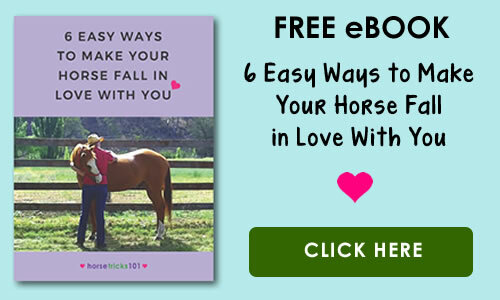 Your training will need to be fun and engaging to encourage your horse to stay with you. But it’s wonderful when they make the choice to be with you. Where would your horse rather be? It’s hard to admit but a few years ago I realized that most of the horses I had owned would rather be in a large field, eating grass with their horse friends, than being ridden or working with me. I used to catch my horse, groom him, saddle him, ride him and put him back in the paddock. Next day I would catch my horse, groom him, saddle him, ride him and put him back in the paddock etc, etc, etc. Not much fun for my horse (except maybe the grooming part). Now I make sure that when I’m around my horses it’s not all about work. We play games, practice tricks, have a scratch and generally hang out together.